Blog Candy is now closed. Please come back on January 5th to see who the winner is! Sorry I am late posting this. We all actually slept in (this hardly ever happens with 3 little kids) and I had to run out and have only just now gotten back. If anyone can explain the mystery of why children wake up very early every day except for the day when it actually would be useful, please let me know! Without furthur ado, here is my Whimsy blog candy! 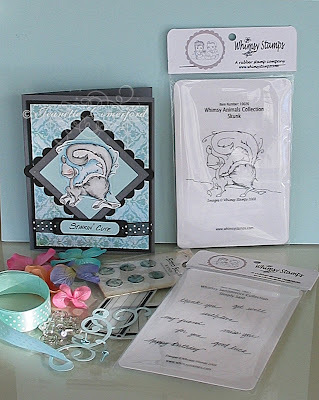 It includes the Whimsy Skunk stamp and Simply Said sentiment set. As well, I am adding this card I made using my own Skunk stamp (there is a brand new one in the candy) as well as some button brads, resin brads, ribbon, flourish embellishments and prima flowers. I went over 30 000 hits some time over Christmas and want to celebrate! To enter my candy, just leave a comment under this posting. If you want to let others know about my candy on your blog, that would be great! I know it is a busy time for us all so I want to make this as easy as possible. I will select a winner using that Random Generator thing on January 5th! It is open to all, no restrictions. I will post internationally! Going to post it right away on my blog :) Thanks for this lovely chance!! Great candy you have. Thanks for the chance to win. I visit your blog almost every day and get a lot of inspiration. Keep going on and I wish you a creative new year! What a darling skunk! Thanks for the blog candy opportunity. Wow! UI would love to win this cute, different and cool stamps - along with the other goodis you're offering! such a cute card and great candy!! Thanks for a chance at the yummy candy!! Congratulations on 30 000 hits!!! Jeanette your card is so cute. I simply adore this image and would love to win him. Congratulations on going over 30,000 hits. Wow - you are generous. The skunk is so cute. I love uyor blog, and I will come back soon! What a great candy !!! 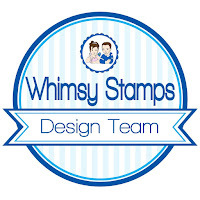 I just love Whimsy stamps! This is such a wonderful way to celebrate. Congrats on your hits, by the way - Way2Go! 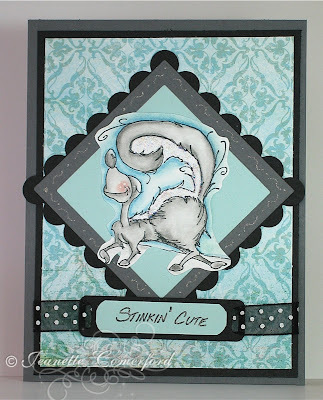 Don't you just LOVE the Whimsy stamps...like the skunk, they are just so stinkin cute!! Love your blog and inspiration. Thanks for the chance to win. I want to win!!! I love that little skunk. Cute card and sentiment too...here's hoping!!! Thank you for the chance! Adorable! Cute card! Thanks for a chance to win your blog candy! Jeanette that is an adorable card! I love it! And what awesome candy you have!!! I would love to get my inky hands on those stamps! hee hee! Thanks for the wonderful chance to win! CONGRATS on your many hits...that's a huge accomplishment! Fab candy! The skunk stamp is adorable. Thanks for the chance. Such a cute card and great candy. Awe...stinky card (I wonder if there is a way to make it 'scratch'n'sniff?) Great Candy, thanks for the opportunity to win. delicious candy!! !I wish you a happy new year..and a lucky number for me!!! Tthis is a relly delicious candy!! !I wish you a happy new year..and a lucky number for me!!! Your blog is amazing .. and your cards are brilliant ..
And this Candy! I love it! Ooooh great candy, going to link you on my blog! Thanks for this great chance. Hello! Congratulations to you! What's a candy! I've linked your candy on my sidebar under the section "Blog Candy". Thanks for a chance to win! Wonderful Candy, I'll be linking you on my Blog a bit later today. gorgeous!!! thank you!!! Merry Christmas and Happy New Year!!! Congratulations on going over 30000 hits! Thanks for offering up such wonderful blog candy its so generous of you! Please enter me for a chance to win. I have added a link to your candy on my blog's sidebar. I wish you a very creative new year! Ooh what yumy candy Jeanette and many congratulations on reaching 30,000 hits! I have linked you on my blog. Congratulaions on your 30.000 hits! Adorable candy you're giving away! ton blog candy est super j'aime beaucoup le tampon et les couleurs . Et bravo 30 000 visite pendand les periodes de noel c'est super !! That's so cute!! I'd love to get my hands on these :) Thank you! Love that Skunk! Thanks for all your inspiration. Happy New Year! oh superbe blog candy Jeannette !!! vite je file sur mon blog mettre une bannière !!! Cute, cute, cute. Congrats on the blog hits. Thank you for the chance to win such a great candy. I've linked you on my blog. Beautiful stamp and a beautiful card you made with it. Keep up the awesome blogging, those hits will keep coming. lo9ve your blog! what creative cards! I especially love the cards made with the Magnolia stamps. Aren't those the cutest little people you have ever seen? I just want to pinch their little cheeks! The blog candy is great! It IS stinkin' cute! What a beautiful card! Thanks for the chance to win it and some lovely candy! I'll add you to the Candy Jar on my blog. WOW!! How genourous. Thanks for offering a blog candy. I hope 2009 is my lucky year. I will link your blog candy on my site. Beautiful card. Your blog candy is so great. Happy New Year! I love the blog candy! The card came out so cute. I will leave a post on my blog. Thank you for the chance to win such a greate candy. I've linked you on my blog. Thanks for the chance to win blog candy. You have a wonderful blog. Happy New Year 2009! The whimsy stamps are wonderful and I love this stamp! Working on that blog ,hopefully up and running in January. Good New Year to you! Big congrats on your hits...gorgeous candy and would love a chance to win. Will pop a link on the rh side of my blog. Hello Jeanette, i wish you all the best for 2009! What a great candy, thanks for the chance to win. I post your candy on my blog. Thank you for teh chance to win. I wish you all the best in the new year and thanks for the chance. You're linked on my blog. i wish you an happy and creative new year!! This stamp is fantastic, thank's for the chance to win your candy! I've add your candy on my blog. Wow, so generous and such an awesome stamp! You have gorgeous talent!! What a cute card and stamps. Thanks for a chance to win. What a stinkin' cute skunk! Love it! An amazing prize and I love that you are including a card you made yourself. How super cool! Great candy! I'll be glad to receive it because here in Moldova we have no stuff for cards. I linked you on my blog! Thanks for a chance to win!! Happy New Year. That is a great Candy. Love your card and what fun candy you are giving away. This is so darn cute! I'd love to win it! Such a cute card. Just love it! Thanks for the chance to win! Happy 2009! Your card is adorable! Thanks for the chance to win the terrific blog candy! Happy New Year! I gave you a shout out on my candy blogroll! This card is too cute. Love the blog candy. How "stinkin' cute" is that?!? LOL! Congratulations on hitting 30,000. I love those pun cards they make me laugh. Great candy. This stamp is just darling, so is your card. What a clever sentiment! I Love it! Congratulations on your milestone! What a cute card and such generous blog candy! Thanks for the chance to win! Great card! Love the colors you used. That skunk is adorable. Thanks for the chance to win some wonderful goodies! Wow cute candy.Would love the chance to win. What a cute card! Love the colors and design. Thanks for the chance at the blog candy! 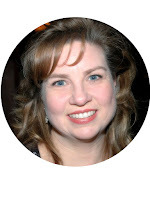 Wow Jeanette...your site is beautiful! I love your skunk card-too cute. I have added you to my list of favorites-just discovered you while hopping for the preview party tonight. Thanks for this oppurtunity as well! This is some great candy. What a cute card for a cute stamp! Love it! Thanks for sharing! This is Great blog candy,Thanks for a chance to win. I just love your blog..Darling little skunk,Love it!! LOVE this stamp set...and what a cute card you made too :)! 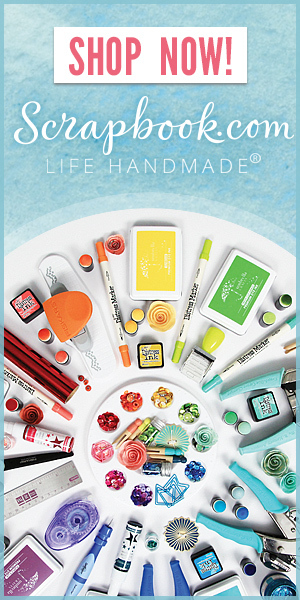 Thanks for this chance to win these goodies :)! Found your blog while surfing and love it. Congrats on your 30,000 hits. An awesome achievement. Your card looks amazing. Thanks for the chance to win some great blog candy. Stinkin cute card!! Thanks for the chance to win. What a hilarious card stamp and card! Thank you so much for giving us a chance for such cool blog candy! just so cute. Thanks for a chance to win. Yum yum--gotta love some blog candy! I "stink" that stamp is too cute!! Who would think a skunk could be so cute? Very cute! Wouldn't have thought I'd want a skunk stamp, but I do! Wauw great blogcandy you give away,thanks for the chance to win! Ik like you cards,and i have posted a link on my blog. Cute candy, would love a shot at winning that. I've linked back to you from my blog! That is one stinkin cute skunk!! Great candy, have added a link on my blog. Nice candy!!! I put a link to your candy on my sidebar. Beautiful blog candy! Happy new year! Congratulations on all your hits, what fantastic candy i have the chance to win and i will try to put you on my blog, although i am not 100% sure what i am doing. That is quite the skunk and I love what you have done with the image on the card. Thanks for sharing. Congratulations on reaching 30000 hits. Thanks for being such an inspiration and so generous with your blog candy.Have posted link on my blog. what a cute stamp !!! Greetings from a cold Belgium! who knew a skunk could be this cute ? gorgeous candy,congrats on you massive hits.would love a chane at this please,off to pop a link on side bar. The skunk is SO cute. Thanks for the opportunity to win this. Hi, what a lovely candy. Hope I'm not to late :-).